Sweet pork, why not! 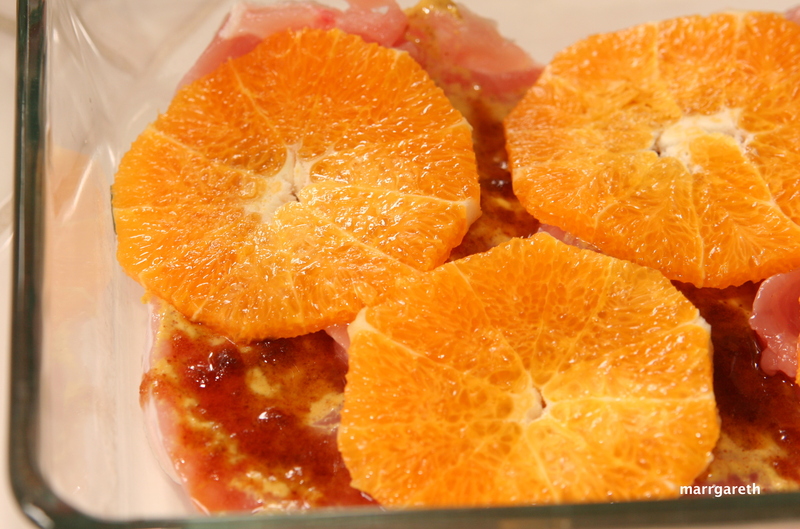 This dish is very easy to prepare, your child will love it for its sweet and fruity aroma. 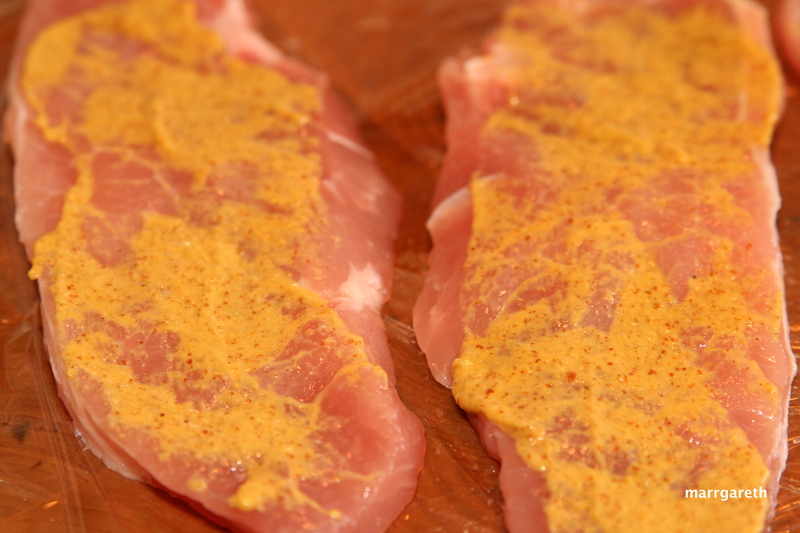 Spread one side of each pork chop with mustard. Sprinkle them with brown sugar. Place the pork chops in a flat casserole in a single layer. Peel the oranges removing all the pith, then cut oranges into thin slices. 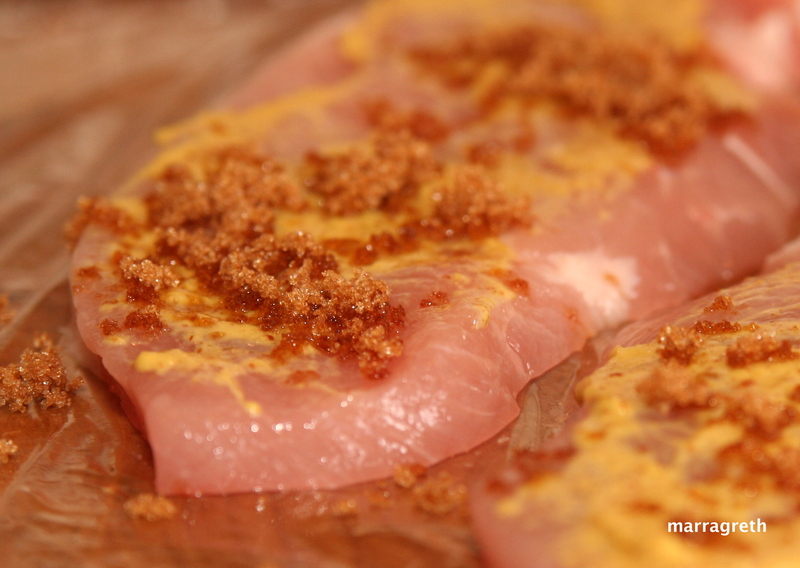 Cover the slices of pork with the orange slices, then pour the orange juice over the top, sprinkle with brown sugar, season with salt and pepper. Bake at 200 °C (400 °F) for about 35 -40 minutes. 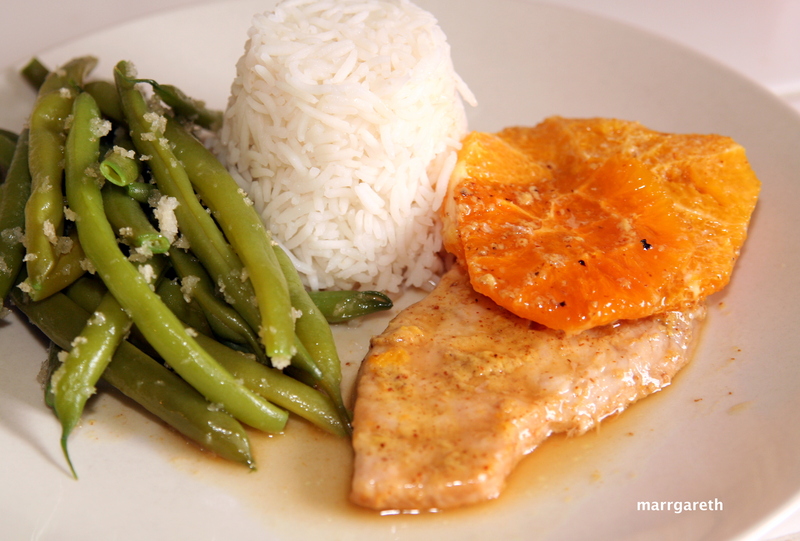 You can serve this dish with rice and green beans. 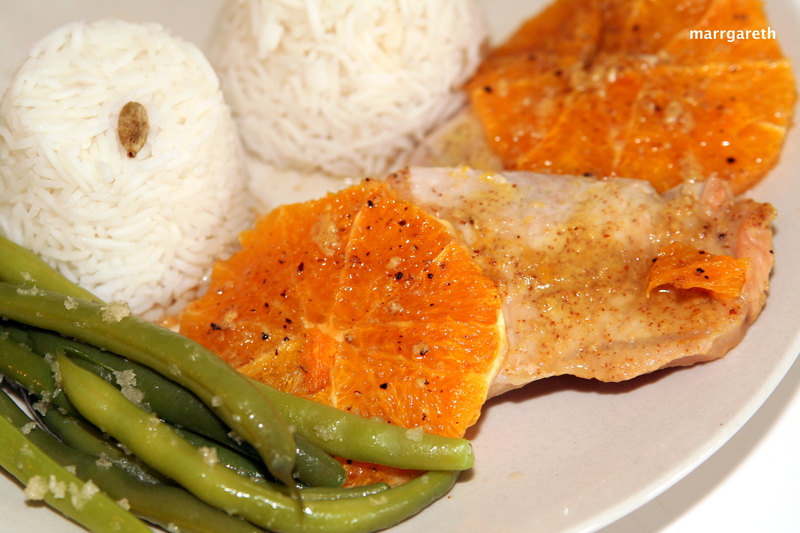 You can find recipe for rice with cardamom here. I hope you will like that combination, Kat.